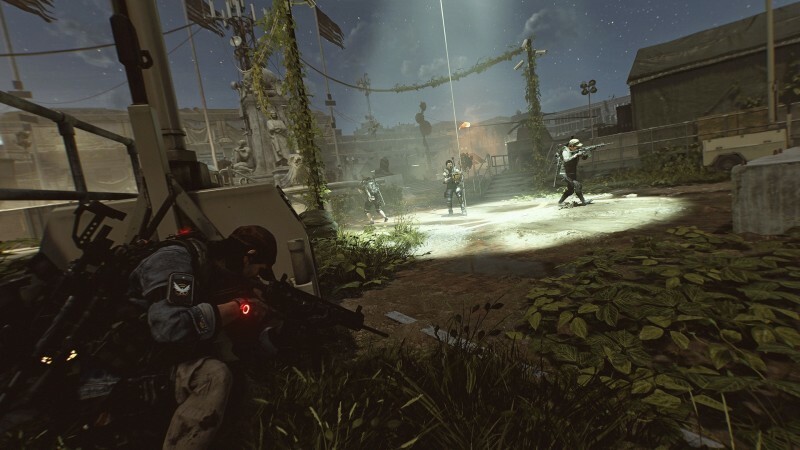 Ubisoft has a lot of big changes planned for the third title update for The Division 2, which includes the introduction of the first eight-player raid. Wrangling all the tweaks is taking longer than expected, so today the company announced the update is sliding from its original April 25 release into May. The delay may be a bummer, but the proposed changes are generally exciting and show the teams at Massive and Red Storm have their ears glued to the ground. Players have all lamented the weak punching power of most exotic weapons, so Ubi is giving them damage buffs across the board. Alongside that news, Red Storm creative director Terry Spier wanted to relay their intentions with exotics – they’re not all supposed to be about world-beating damage per second (DPS), but rather an opportunity for the developers to create different styles of play. Still, knowing those weapons that take much longer to acquire have a little more power is nice. The LMG Pestilence also received a PvP buff. Speir also addressed the fans clamoring for the developers to raise the poorly performing weapons/gear rather than nerf the popular ones. Their intentions with nerfs are to align the game so the play feels more balanced. The reason they don’t buff everything is there is only so high they could go until everything feels too overblown. Other long-standing games like World of Warcraft have had to perform stat squishes when things get out of control, and they want to avoid that if possible. Ubi also outlined a ridiculous amount of proposed talent buffs and nerfs. Many players have griped about the low player counts and weak gear drops in the three dark zones. Guess what? Ubi also has plans to fix these issues. When Title Update 3 drops in May, gear that drops in the dark zones can now scale up to Gear Score 515, making these areas the only places in the game where you can power creep above the 500 cap. To address the population complaints, Spier made a point to say they are not going to raise the player caps, but rather tweak the system to make sure each instance more regularly has 12 players roaming the streets. Right now the game creates too many brackets of players, which is why the regions feel dramatically underpopulated. The Red Storm test servers always guarantee 12 players are participating, and Spier says they feel like this is the sweet spot between being overcrowded and underpopulated. Several other dark zone changes are planned as well, including returning loot ratios. After TU3, less non-contaminated loot will drop in favor of more contaminated loop, which should drive more players to engage in the extraction loop. In addition, named bosses will guarantee contaminated loot drops. To compensate, Ubi will increase the contaminated loot bag size to six. The Tier 1 dark zone perk will increase this to eight, and the Tier 10 perk will up the bag size to ten. Weapon/gear normalization plays a big role in the dark zones and the Conflict PvP mode, and Ubi has some proposed tweaks on this front as well to make it feel more in line with the PvE experience. Right now, the game takes your stats and pushes them toward the middle to make the fights fairer between players with divergent gear scores. After TU3, they will respect item rolls. That means if you have a weapon with a higher change for a critical shot, it will still have a higher chance after the normalization occurs. Ubi is also adjusting how skill power is normalized so any skill mods you have equipped in the open world work when you venture into the dark zones or Conflict. Another big change coming to PvP encounters is a global tuning that drops the damage modifier from 70-percent to 40-percent, which means players have more time to react once the bullets start flying and kill times should feel more in line with the PvE experience. Skills won’t one-shot players, but they are getting buffed to be more effective. Red Storm is putting new tuning mechanics in place so it can alter specific weapons and weapon archetypes in both the dark zone and occupied dark zone without affecting the PvE experience. The first big change coming is buffing assault rifle damage across the board in PvP and removing the ability for players to get crits when hip firing. The Division 2 PTS went live today on PC, so if you want to check out these proposed changes you can log into your Uplay account, download the client, and join the feedback loop as these changes are introduced piecemeal over the next couple weeks. For more on The Division 2, check out our review of the game here.